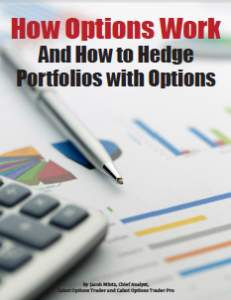 Discover for yourself how easy – and PROFITABLE – options trading can be. Yes, you can learn to trade options. No, it’s not as risky as you think. And yes, you can afford it! We want to help investors like you understand something that could protect your portfolio from risk and build wealth. We invite you to join us on the path to becoming a better, more confident, richer investor by downloading your free report, How Options Work, and signing up for our free investing advisory, Wall Street’s Best Daily.